Organizers DotNext 2019 Piter. .NET conference, May 15-16, St. Petersburg and online. 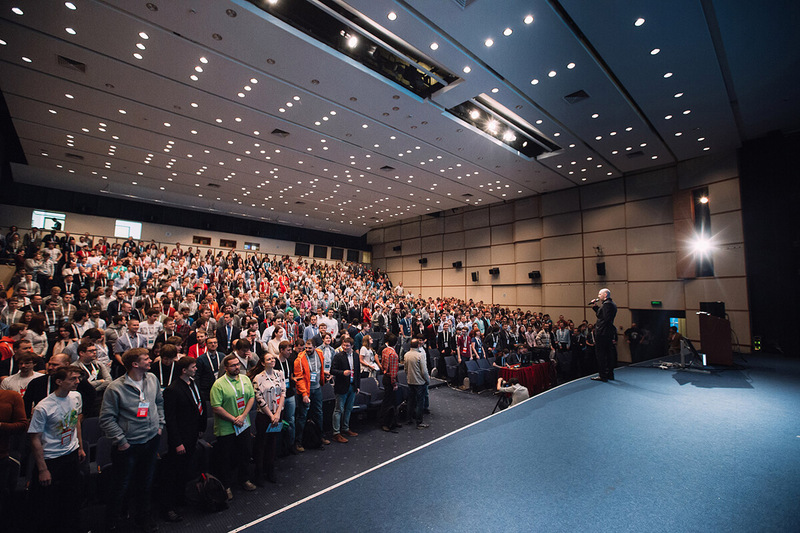 Organizing the largest conferences and meetups for developers in Russia has been at the heart of our company for many years. Our main goal is the development of Russian IT engineers’ community. We achieve it by creating specialized venues to make experience exchange and networking for advanced developers more accessible and fruitful. Therefore, only technical talks are included in our program which is formed in such a way as to gather and unite enthusiastic developers who are willing to share their experience and discuss solutions of challenging problems and projects. An architect. 16 years ago Igor started as a C++ developer, worked with Win, Linux, QNX in areas ranging from video processing to network card drivers with a full implementation of the TCP/IP stack. 9 years ago he switched to C# and started dealing with architecture as well. His special focus is on the challenges of apps interaction (mainly on WCF stack), performance problems, as well as the convenience of developers working on complex projects. Anatoly was studying to become an information security specialist. He was earning money like a tough C++ developer on Linux. After getting bored of coding, he felt the urge to create and switched to C#. He has been writing in .NET since its first versions. Currently Anatoly is designing and developing business applications, distributed and fault-tolerant systems. He spends his spare time with ES, CQRS and DDD. Andrey Akinshin is a senior developer at JetBrains, where he works on Rider (a cross-platform .NET IDE based on the IntelliJ platform and ReSharper). His favorite topics are performance and micro-optimizations, and he is the maintainer of BenchmarkDotNet (a powerful .NET library for benchmarking supported by the .NET Foundation). Andrey is also a PhD in computer science, a Microsoft .NET MVP, a silver medalist of ACM ICPC. In his free time, he likes to study science (his primary research interests are mathematical biology and bifurcation theory). Developer of the bioinformatics software with .NET, chemical with Java, financial with Haskell and some other interesting stuff. Roman likes to dive into new areas and languages and then talk about them at conferences and use them in production, if necessary. Vagif is a Russian/Norwegian developer working for a Norwegian company Miles. He has about three decades of programming experience, currently focusing on building systems in F# and C#. Vagif is a frequent speaker on software conferences, contributor to some open source projects and maintainer of Simple.OData.Client. Mikhail is a PhD student and researcher at KTH Royal Institute of Technology, an independent developer and consultant, a participant of Microsoft Bug Bounty Programs, co-organizer of DotNet.ru, and Microsoft MVP. His professional areas are Application Security, Web Security, Static and Dynamic Code Analysis, Information Flow Security. Elizaveta is a leading developer at MTS Information Technologies. She has got experience in developing and designing systems both in C/C++ and C# ASP.NET, Mono (from navigation systems to enterprise solutions). She's into route planning and multi-agent systems, compilation, LLVM, Clang, low-level debugging of applications. The co-founder of HighTech Group, teacher in KFU and blogger. Try to google "как писать тесты" ("how to write tests" in Russian). The first result is his article. Previously, before founding his own company, Maxim was employed as a Web Developer, Team Leader, CTO and Head of Quality Department in various companies from Kazan, Moscow, Saint Petersburg and Antwerp, Belgium. He is sure that technology is not a "thing in itself", but tools. The tools must suit the problem being solved. The work of an engineer is to select the right tools and create new ones. Irina Ananeva is a software developer at Kontur where she develops different web services for business. In her free time she contributes to BenchmarkDotNet (a powerful .NET library for benchmarking supported by the .NET Foundation). She's interested in the internals of .NET CLR, performance and micro-optimizations. Sasha Goldshtein is a Software Engineer at Google Research. He works on practical machine learning problems with other product teams at Google. Prior to joining Google, Sasha authored books and training courses, consulted worldwide, and spoke at numerous international conferences. The largest .NET conference in Russia.